"Energy savings on their own can be impressive. When the best performing roofing compounds are added, that's when savings can become real." 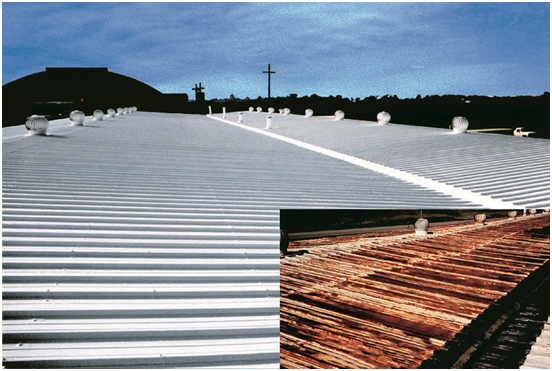 Topps Products delivers sustainable, commercial and industrial roof maintenance systems. Our roof coatings and sealants have been protecting and sealing roofs, stopping leaks and extending roof life for decades. Topps products have proven durable in over 30 countries and on every continent and in every imaginable climate. The Topps® company roots in this business - which date back to 1958 - are based upon a simple concept: product selection for your roofing needs is as important as the company that installs it. Our roof coating systems work together to restore, protect and enhance the energy efficiency of commercial and industrial buildings. These systems always include a versatile group of surface preparation, reinforcement, roof repair and roof coating products which all work together to improve the performance of your roof.